Mirrorless Cameras - Why Should You Make The Change? Mirrorless Cameras (or Mirrorless Interchangeable Lens Cameras to give them their full name), also known as Interchangeable Lens Cameras and Compact System Cameras, have come a long way since the Epson R-D1 was introduced in 2004. The marketplace has changed dramatically since then, with the Canon EOS R, Nikon Z6 & Z7, Sony a7 III offering full-frame options that are rivalling long-established professional DSLRs. Even mirrorless cameras with APS-C sized sensors, such as the Fujifilm X-T3, are offering features such as 4K video at 60fps! If you find yourself asking "Why should I change to mirrorless? ", then our handy guide explains some of the key benefits. The growth in the market has rocketed over recent years, with mirrorless systems introduced by all the major brands. 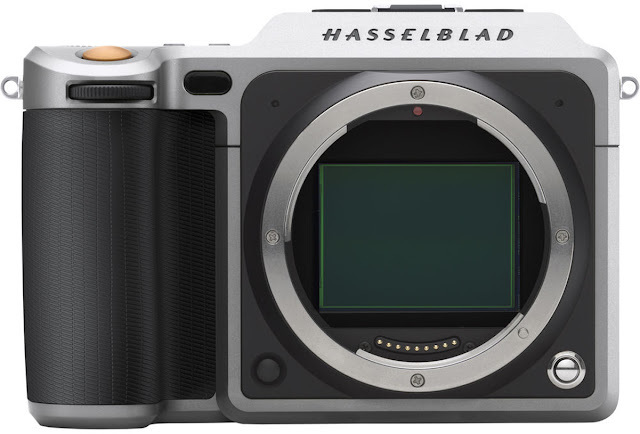 We’ve got Olympus and Panasonic with their Micro Four Thirds system, Samsung’s NX-Mount, Sony’s E-Mount, the Leica T series, Nikon and their X Mount, Canon's RF Mount and their EF-M mount, and most recently Hasselblad introduced their X1D-50c medium format mirrorless, followed by Fujifilm's GFS-50X medium format mirrorless. Mirrorless cameras fill the void between the rather basic compact cameras, and the rather bulky digital SLR cameras. Bridging the gap between amateur and professional, they offer the ability to vary your lens choice based on the type of photo you’re taking, meaning keen amateurs can massively improve their photography. 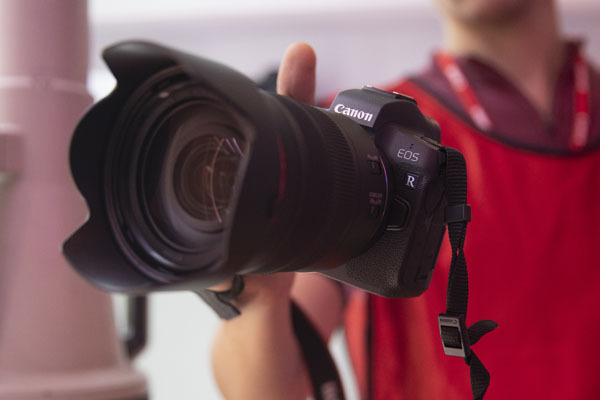 And for professionals, they offer a size and weight advantage over DSLRs, meaning photographers can get closer to the action and cut down on the size of their kit bag, while still achieving professional quality images. Additionally, photographers don’t need to go out and buy new kit – they can use their existing lenses with their new same-brand mirrorless camera by using an adaptor. 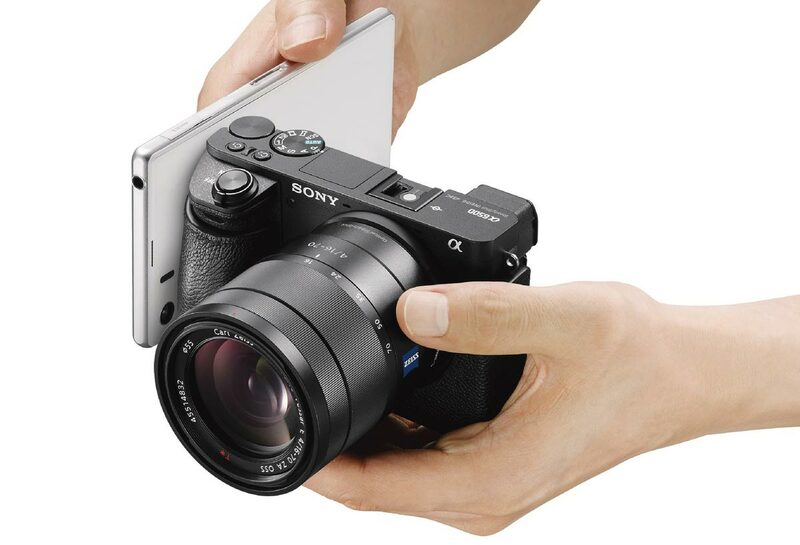 Alongside their size advantage, mirrorless cameras have a much superior build quality than point-and-shoots; in many cases they have been designed to mimic their big brother DSLRs in the style and feel, with a decent sized grip in a lightweight and compact body, you really feel like you’re holding a proper camera. By doing away with the mirror and pentaprism that DSLRs have, and combining this with a sensor that's significantly larger than a point and shoot compact camera, mirrorless cameras offer the best of both worlds - brilliant image quality in a small and compact body. As per Digital Single Lens Reflex cameras (DSLRs), the larger the sensor the better. This is not only because they (often) offer higher resolution, but equally importantly they can have more focus points, better dynamic range, and less noise in low-light conditions. Many mirrorless cameras pack an APS-C sized sensor or in the case of the Olympus and Panasonic Micro Four Thirds cameras, a four-thirds sized sensor. The Canon EOS M5, for example, will shoot RAW images on its 24.2-megapixel APS-C sensor, so it’s larger than micro four thirds cameras. Video. It’s almost expected these days that a DSLR like the Canon 5D Mark IV will have video, if not 4K video. 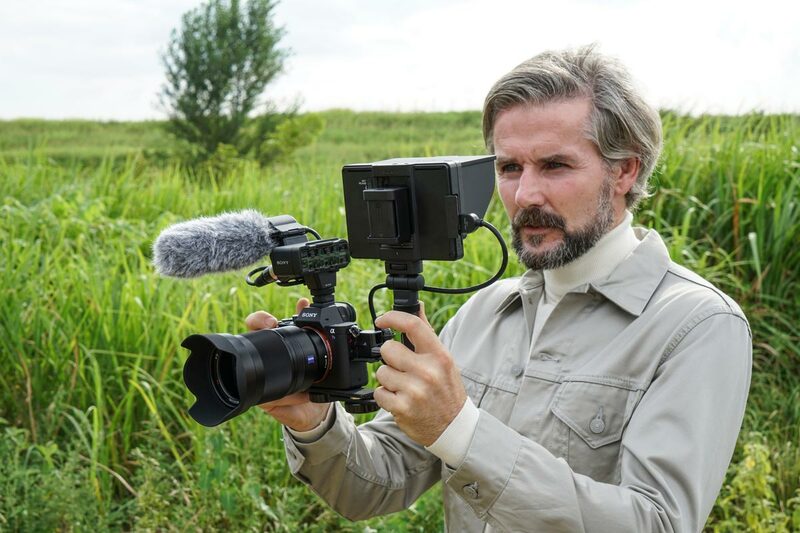 And while point-and-shoot cameras and smartphones do record video, and it’s often not bad quality, if you’re serious about the quality of your video but you also require something that’s small and easily manoeuvrable, then something like the Full Frame, UHD 4K Sony A7R III is quickly becoming the choice of professionals. It means you’re getting full HD or 4K video, recorded through a whole range of interchangeable lenses, and you don't have to carry a bulky DSLR around with you. If you’re not convinced on a mirrorless camera over a point and shoot yet, then amongst a host of other features in cameras like the Olympus OM-D E-M1 Mark II (which we reviewed here) such as high-speed AF with 121 cross-type AF points, 18 fps in continuous mode, 50 megapixel high resolutions hot capability, in-body 5-axis image stabilisation, 4K video capture at 30fps and 102Mbps bit-rate, an EVF with 6ms response rate and a 120fps frame rate and dual SD card slots... then surely the connectivity of mirrorless cameras will sway you. 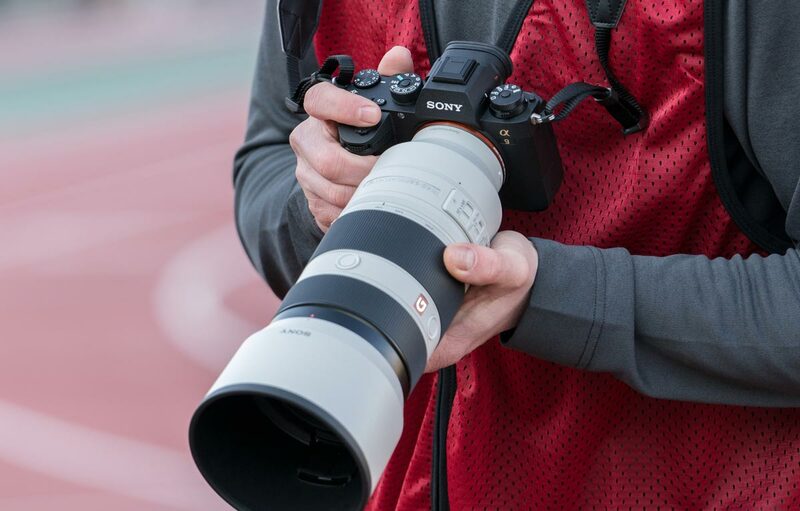 Modern mirrorless cameras are built to connect; which is why cameras such as the Sony A9, A7R III and many others have both Wi-Fi and Bluetooth with an improved range over previous models. This means you can connect the camera to your smartphone or tablet and easily transfer and edit images and instantly share them. You can also shoot stills and movies remotely from your smartphone using the various remote apps, and images are backed up automatically to cloud services, your computer or smart device. All these features mean mirrorless cameras really are now stacking up as worthy contenders to DSLRs and an affordable step up from basic point-and-shoots. Find out more about Mirrorless Cameras over at Park Cameras or visit us in store to chat with our expert staff. Are they on to Full frame mirrorless ? 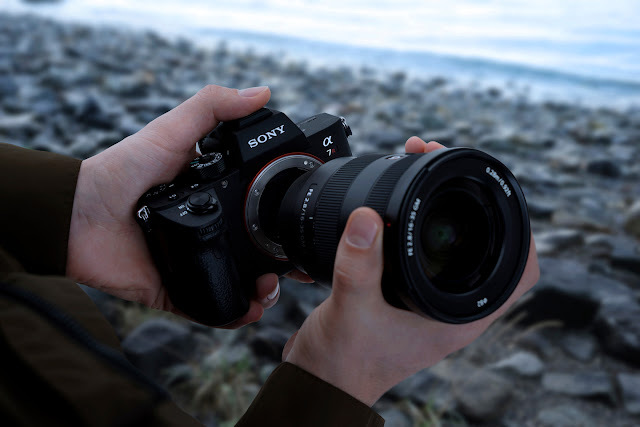 The Sony a7 range features full-frame sensors. You can learn more at http://bit.ly/2czQGxv. Hope this helps? No GPS unless linked to a smartphone and no 4K vid. Canon have missed a few tricks here really but I like in camera stabilization. Maybe the next one, once I read a test on FD lens adapter performance. When can we get hands-on? When will you have stock ? I use the Panasonic GH5 (Purchased from you.) for both stills and video, the video quality is superb, recorded in broadcast quality full HD or in 4K, and, since the last firmware update, the autofocus is spot on! The still photo quality is also very good, better than my Nikon! Glad to hear you are getting on well with the GH5 - it's a great piece of kit!